Attention DIYers and those who love road trips — this show is for you. The Rocky Mountain Home & RV Show is your one-stop for “Show-Special” pricing for your Home Improvement projects and/or to purchase, lease or rent an RV. The three-day show runs Friday to Sunday, September 21 to 23 at Broncos Stadium at Mile High in Parking Lot I. The latest news from the Show is that attendees will get the opportunity to check out Luxury Tiny Home & Gypsy BLISS Wagons from SimBLISSITY. Show entry is FREE, but MHOTC readers will want to preregister online for their tickets so they are automatically entered into show prize drawings. Whether you are doing a major project or a minor Home Improvement, you’ll find it all at the Rocky Mountain Home & RV Show. The show offers information and ideas pertaining to all aspects of home remodeling including the latest design trends and techniques. You’ll have the opportunity to speak directly with experts and receive advice and inspiration you need to turn your dream home or other home improvement project into a reality. 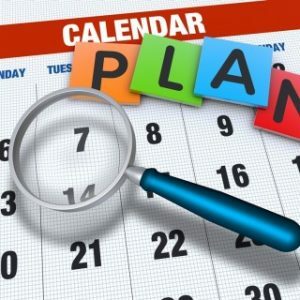 With Denver’s hot housing market, it’s about finding what you need and getting booked on the home improvement companies schedules before their calendars fills up. Tiny homes on wheels are a great alternative and attainable housing option that are sustainable, energy efficient and affordable. It’s “Movable Wheel Estate.” Gypsy wagons and tear drop campers provide a fun and exciting getaway for vacation, adventures and comfortable accommodations for visiting friends and family. SimBLISSITY is a family-owned Colorado company. Their tiny homes boast high-end features including: Bay window, U-shaped seating area andgourmet kitchen with custom cherry cabinets with toe-kick drawers. Also, hammered copper kitchen sink mounted under the solid black walnut butcher block countertop, bottom freezer stainless refrigerator, three-burner RV stainless range with oven and custom cherry closet storage. You also find thermostatically controlled, propane fireplace set into a beautiful, curved solid cherry front. There are solid oak stairs with cherry inlay with high-clearance sleeping loft. High quality, Energy Star vinyl awning windows provide cross ventilation for comfortable sleeping and ample natural light for daytime activities. Whether you’re an experienced Rver or just getting started, Rocky Mountain Home & RV Show is the best place to buy your next RV. Come see the latest, compare different types, makes and models. At the show, get show-only & end of the season pricing and save on your purchase. There’s nothing like the freedom of RVing and the adventures and new friends you meet along the way. There will be entry-level RV’s for people who want to RV but never have and all sorts of models for those who are regular RVers to upgrade to. The new RV’s aren’t like the older models; the new RV’s are filled with updated electronics and the amenities that you’ll find in designer homes as well as outdoor entertainment areas. Show hours are Friday from 2 p.m. to 6 p.m., Saturday from 10 a.m. to 6 p.m. and Sunday from 10 a.m. to 4 p.m. Here are step-by-step instructions on how to get your FREE tickets. 2. Select the date you want to attend. 3. Once you get to specific page for the day you want to attend, click on “Register“. 4. Select the number of tickets you want. 6. Click on “Checkout“. Type in your fire name, last name and email address, as well as the other required information. Then click on “Complete Registration“. Broncos Stadium at Mile High, 1701 Bryant St., Denver.